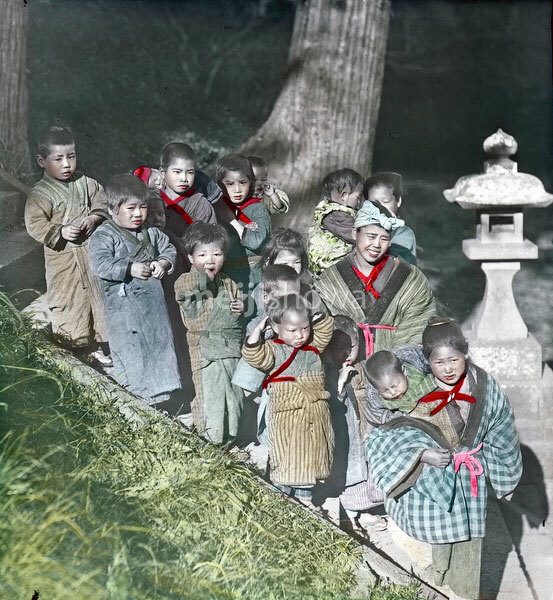 A group of children, many of them komori. Komori were young girls from poor families who were hired by the year to aid middle and upper class mothers in the care of their infant. In addition to carrying the baby around, the komori would also assist a little with the household work. Komori received food, lodging, clothing, and occasionally some money.